A travel scrapbook album can be a great way to remember a vacation. Many people put off making one because they have the misconception that they have to be extremely creative to make this type of album. This is simply not true. As long as you have a vinyl cutting machine you can make a travel scrapbook album that you will love. Here’s how you can easily personalize your travel scrapbook album. Diecuts are a great addition to any travel scrapbook album. You can make almost anything that you want to with a die cutting machine. Diecuts can include everything from letters and words to people and animals. 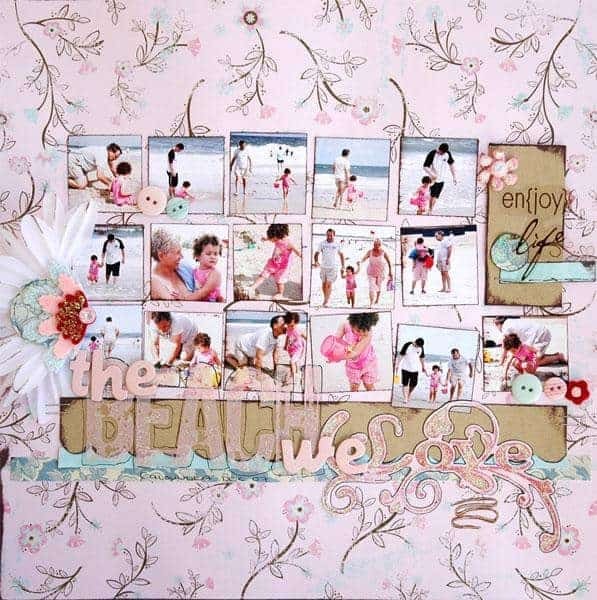 No matter what your travel entailed, you can easily make a diecut that will go along with a particular theme on a page in your travel scrapbook album. Diecuts tend to be fairly easy to make so you might find that you start off making one, but you end up making a lot of different ones to add to the pages of your travel scrapbook album. If you don’t have a die cut machine yet, you might like to check out the best die cutting machine for beginners here. You can purchase ready-made die cuts, create your own from dies, or by grab some free SVG files for vinyl cutting. Travel-themed accents are easy to create using a vinyl cutting machine. Whatever your theme is, you can make something to accent it in the perfect way. For example, if you visited New York City, you can make the Statue Of Liberty, a “big apple” or subway cars. The only thing that you are limited to is your imagination when it comes to what you want to create. Many scrapbook album makers are surprised to find that they can easily create stickers with a vinyl cutting machine. These stickers can prove to be just what you need to personalize a page just the way that you want too. You can create virtually any sticker that you want no matter how simple or intricate that you are wanting it to be. When it comes to stickers you can make them small, large or anything in between. You can create a sticker that just acts as an accent to a page or you can create a larger sticker that is the main focus of it. It’s really up to you in terms of what you want to do. As long as you have a vinyl cutting machine you can make a sticker of any size, shape, color or design. In order to have a travel scrapbook album that’s really personalized, you need to make a unique cover. Your cover can have a theme related to where you went when you were traveling or it can just have an overall travel theme. A vinyl cutting machine can help you make whatever you need for your cover. When personalizing a cover, you can put anything you want to on it. There’s really no right or wrong way to personalize your cover for your travel scrapbook album. However you choose to design it, the cover should have a lot of meaning to you and be designed in a way that you will feel proud of.